This 2.5-hour walking tour will take you to many of Munich’s major landmarks. 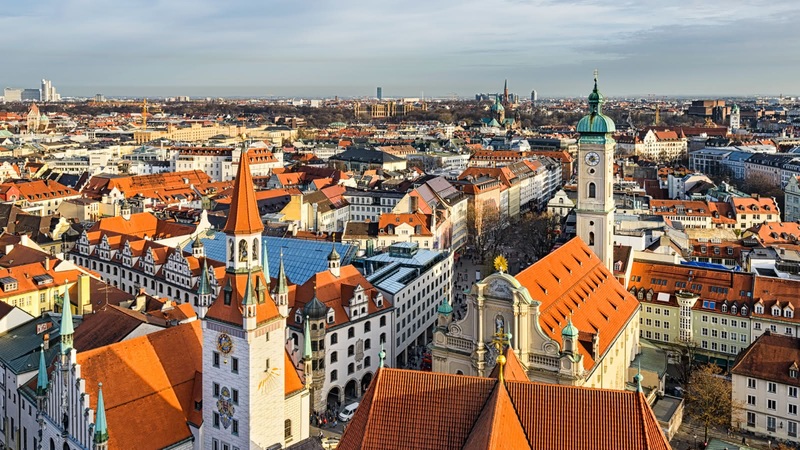 You will visit the Frauenkirche, see the world-famous Glockenspiel, go past the iconic Hofbräuhaus, and much more. 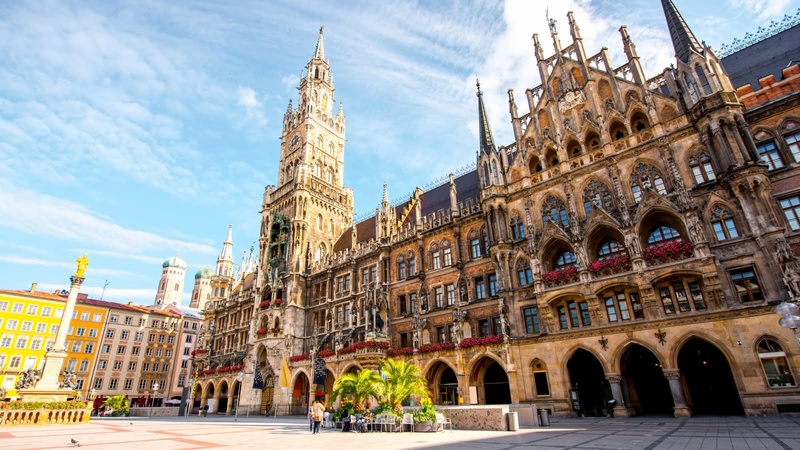 This tour will help you tick off many of Munich’s must-see sites. 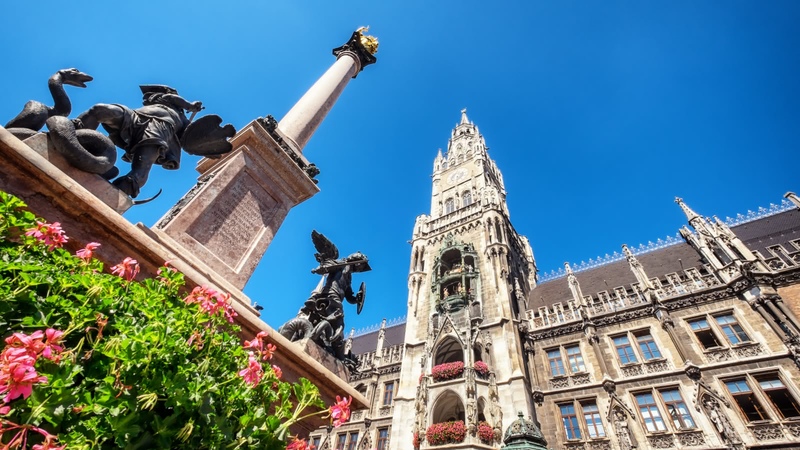 Your Free Tour of Munich starts at Marienplatz and also finishes near the start point. Munich locals will tell you their city is the most beautiful in Germany, if not Europe, and on this 2.5-hour walking tour, it’s not hard to see why! 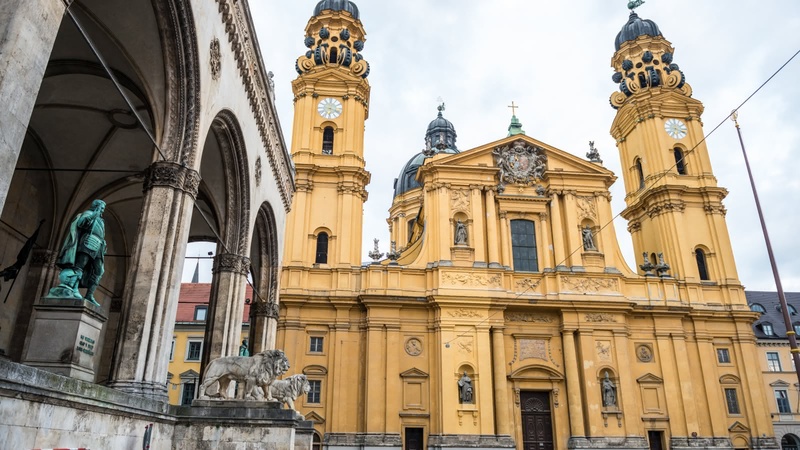 Not only will you learn the origins of Oktoberfest and hear the stories of the Bavarian royal family, but you’ll also want to keep your camera at the ready as you stroll through the medieval heart of Munich, admire the beauty of the Royal Residence, see the Church of St. Peter, and much more! While visiting the beautiful Bavarian capital, it can be hard to believe that some of Europe’s darkest days started here with the Nazi party. 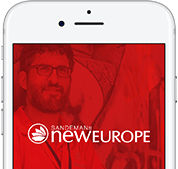 Your expert local guide will tell you about the local Jewish community on Kristallnacht, the night of the broken glass, and take you to where Hitler tried to seize power in 1923 with the failed Beer Hall Putsch. To learn more about the Third Reich history in Munich, see our Third Reich Tour or visit the Dachau Concentration Camp Memorial. Visit the Church of Peter, affectionately known by the locals as “Old Peter"
I am so glad we found out about the free walking tour of Munich! Our tour guide, Sarah, was a great guide and told wonderful anecdotes about the city’s history. We learned so much about Munich and this gave us a greater appreciation of the city! Thank you Sarah and Sandeman for the wonderful FREE tour! It was my first time going to a free tour and I didn’t know what to expect. Our guide was Jax who made our experience super fun. He was knowledgeable and shared great insight about Munich, it’s history and hidden gems. I strongly recommend this tour in your first day in the city. It will help you locate yourself and learn more about the city. Hopefully you will have Jax to make your experience even better. We did the free tour of the Marienplatz and surrounding areas with Sarah Owens. She has a lot of knowledge and shared it in an entertaining way. We walked a lot but not at a rapid pace so it was easy to keep up. This is a great tour to do your first day in the city to help orient yourself! Tour with Leander was great! I highly recommend this tour to anyone who comes to München to see the overview of the city and get to know some history! We had a wonderful time with Sandeman's free tour of Munich. Our guide Keith was funny and knowledgeable about Munich history and the local culture! It was a great tour and we highly recommend it to anyone who is looking to get a bit of an insight into Munich and what it has to offer. This walking tour was everything you want out of a tour. He always found spots where folks could sit, had amazing stories, and gave great secret tips. Could not recommend more highly. Plus free, just for the tips. He was a delight. Our guide was Patricia and she was really wonderful. Knew exactly what she was doing and had so, so much information to share. A walking tour is a great way to get to know where you are, because no one, not even a book, can explain it or show it to you like a person can. I definitely suggest walking tours for those who are visiting a place for just a day or two, because you get so much useful information at once, and see so much that you otherwise wouldn't have. Great tour through the beautiful city of Munich with Ben. Entertaining, funny and learnt a lot about this great place. Would highly recommend! Up the Dubs!